No National Parks were flown in on this video. 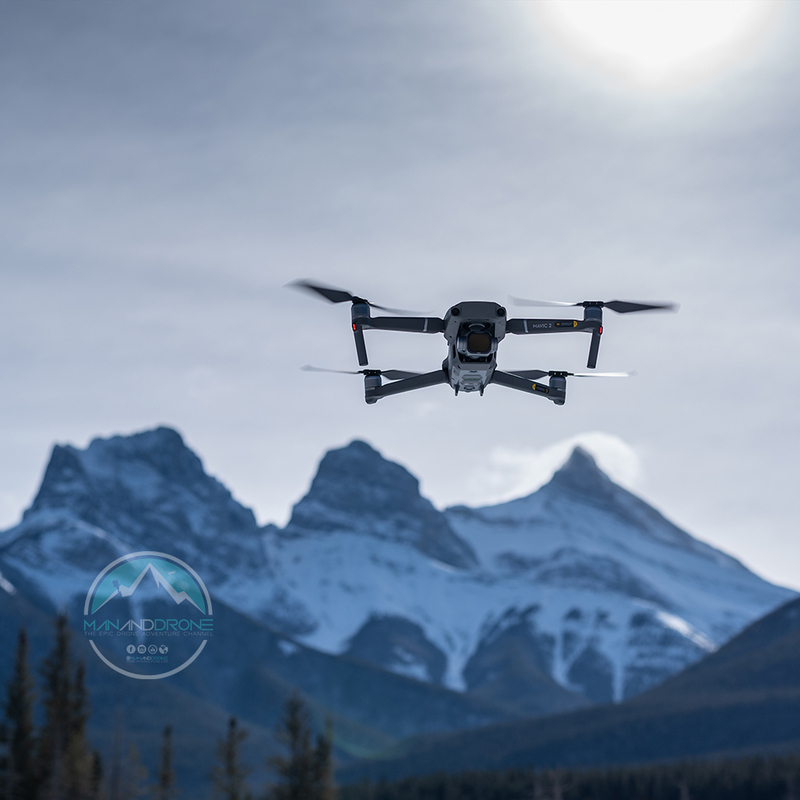 When I shot my first Canada video flown in Mid-2015 there was absolutely no rules saying you can’t fly in National Parks that I could find online for Canada, no signs in any parks saying drones banned, rangers that I spoke to didn’t even know what a drone was.. The only thing I found were the Transport Canada Rules and CAA rules both did not cite a ban on National Parks. 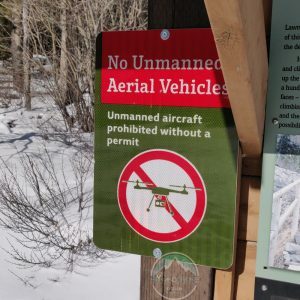 Only at the end of 2015 (after my first Canada video) would you find news articles confirming a national ban on recreational drones in National Parks. I knew there was a complete ban in the USA for NP’s at the time, but Canada was different it was more of a ‘Grey Zone of Confusion’ for the early adopters. Kisla / Willson P.L.U.Z – 1 Heliport Advisory. 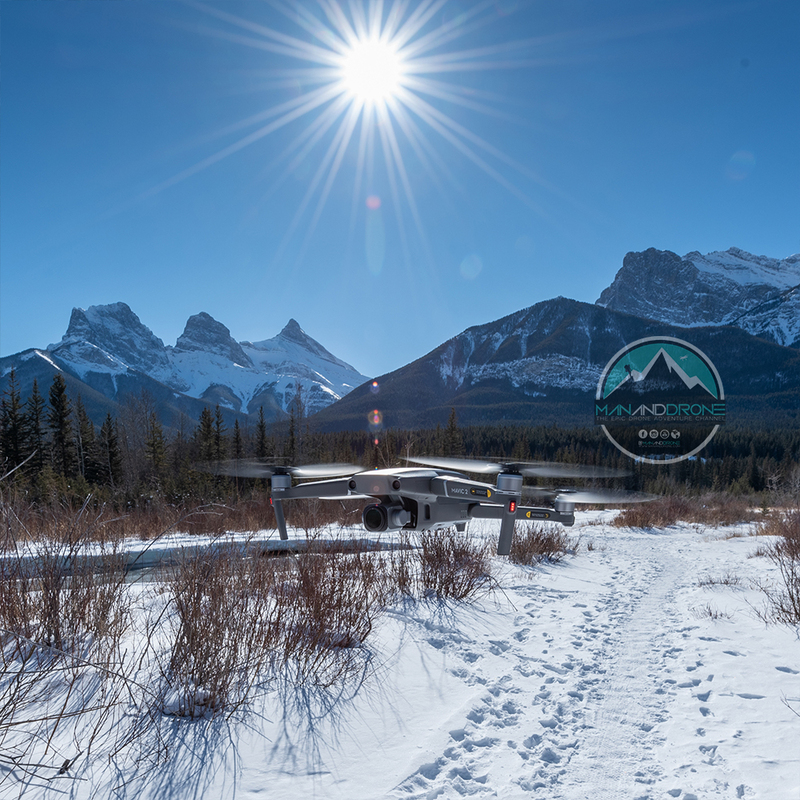 Sections of ‘Canmore’ which were just outside of the Bow Valley Wildland. 2 Advisories, local hospital and heliport. 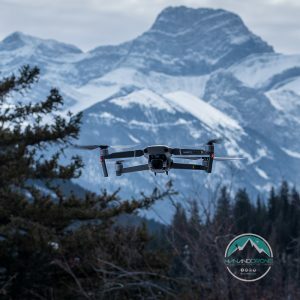 If you’re looking for somewhere as epic as Alberta but more lenient, then the neighbouring province of BC (British Columbia) actually allows drones in ‘Some’ not all ‘Provincial Parks’ even then you should still clear this with the park superintendent. But again, National Parks are a big no no anywhere in Canada. Always check notice boards whenever you hit up a different park. Don’t ask me about other Provinces though regarding provincial parks, I’m really only knowledgeable of BC & Alberta. If you can, research ‘Crown Land‘ as it’s good to use and you can even camp there for free. 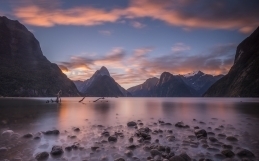 National Parks could be Geo-Fenced with unlocking only by authorisation that would stop a lot of confusion. 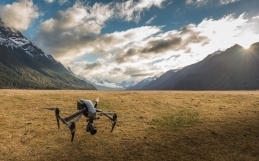 It’s a mess now as every man and his dog owns a drone. 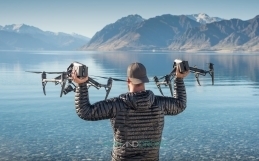 If I had to give advice.. I’d say : Be original and find places that aren’t tourist hot-spots in safe to fly areas. Do research for any country you visit and for general airspace rules and advisories use Airmaps. 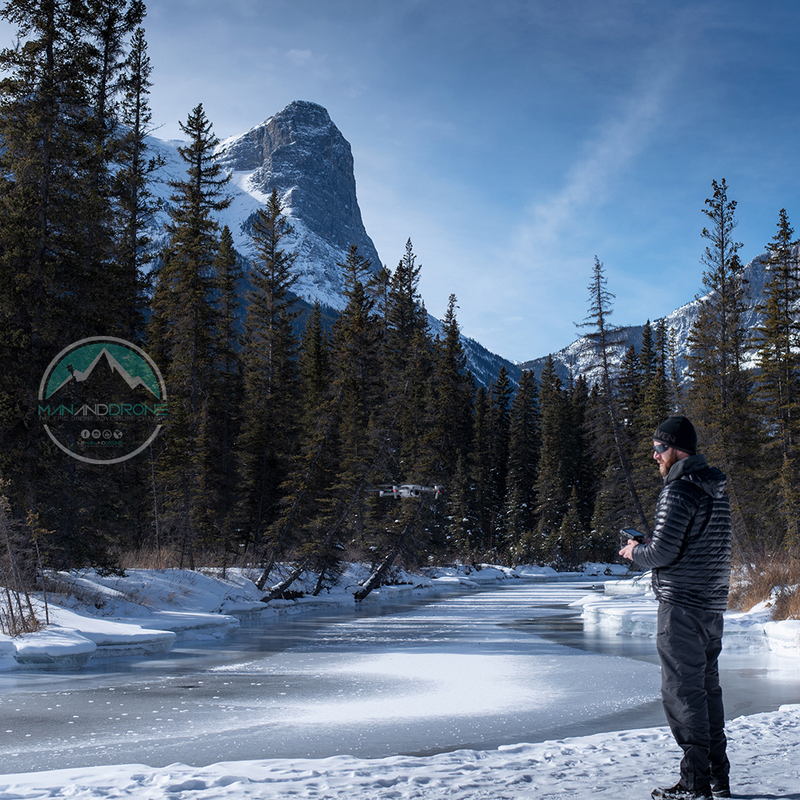 Yeah Yeah I know.. I’m just revisiting similar old haunts… Let me just say that many countries have their own mountains but most pale into insignificance when compared to the natural beauty & diversity of the Canadian Rockies. 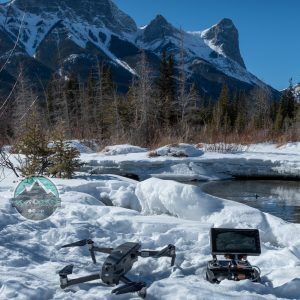 This was my second trip to Canada and I was lucky enough to stay for 8 months this was more of a place to base myself for some outdoor activities and lifestyle rather than go-out of my way to film.. and the main thing was the girlfriend lives there so it made perfect sense. As a UK citizen Canada’s landscape is totally different to home, I prefer an outdoors place. The South of England where I’m from has nothing in the same league as the ‘Rockies‘ and actually you can say that for the entire UK. Not only that, places like Wales & Scotland and the Lake District are wet and miserable for the most part.. I find it way more dry and sunny year round in the Calgary / Banff area which raises the spirit, definitely the place to be if you’re an outdoors type. 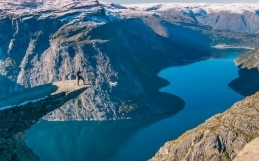 UK & USA Nationals are allowed to visit Canada for up-to 6 months within a 12 month period visa-free, extensions of an additional 6 months can be done online for only $100 CAD and usually takes around 90 days to process. I didn’t even have a drone in Canada until the Mavic 2 came out in September 2018.. 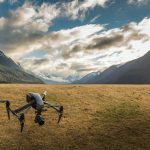 I actually won a Mavic Platimum Pro Drone in a DJI Forum competition in August 2018 which was an amazing surprise! 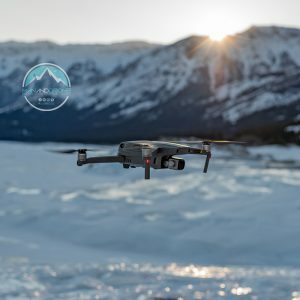 (This video) So I ended up selling that drone to buy the newer Mavic 2. 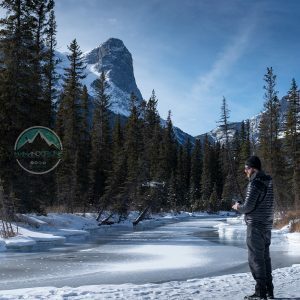 For my first trip with that Mavic 2 Pro I managed to film some nice locations in BC that you can see on my ‘Thoughts‘ video. Freewell were kind enough to send me some ND Filters for my flights so I’m linking them here and in the video online too. Thanks Guys! 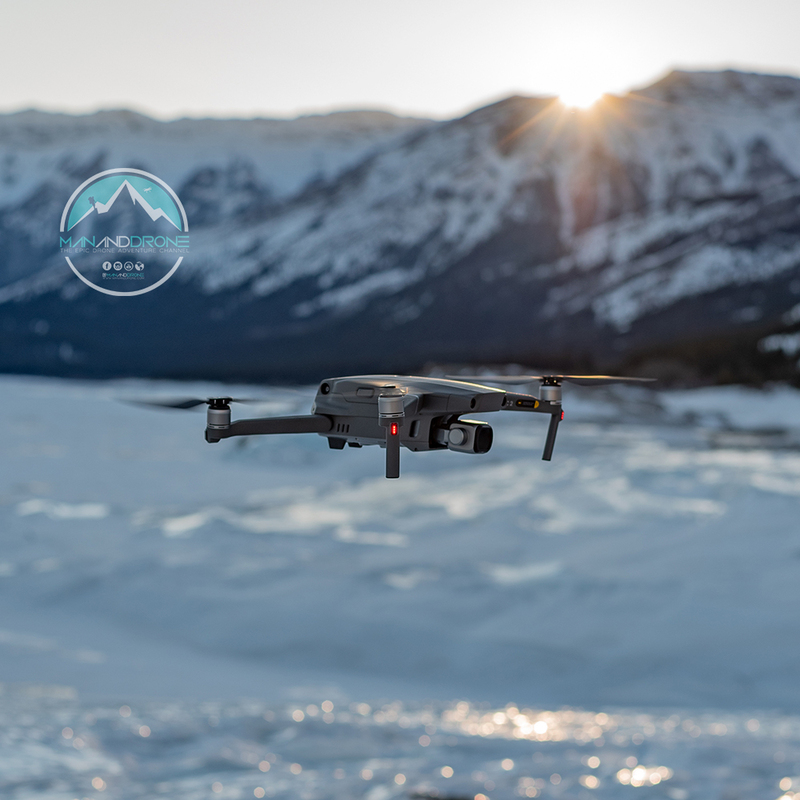 Towards the end of my trip I purchased a DJI Crystal Sky 5.5″ as my mobile phone screen isn’t bright enough for the harsh sunshine. The Crystal Sky Monitor is proving to be an awesome piece of kit thus far. As Winter’s go it was a pretty mild one for Southern Alberta so I was able to get out a few times to do some filming. As long as temps weren’t below -20c which can easily happen during Winter months. 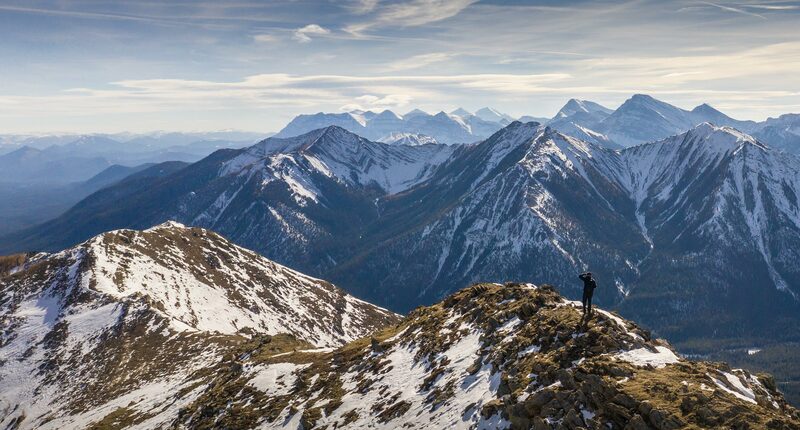 At the end of October I managed to climb a ridge in Southern Kananaskis probably around 2500 metres up. Anything above 2000m altitude and the drones behave crazy as the air is a lot thinner and the winds sent over the continental divide certainly didn’t help. There was Zero chance to climb any proper death defying peaks 3000m+ as I was well out of shape and also didn’t have the necessary gear such as crampons. I’m happy with what I managed to capture considering everything, it certainly makes me realise how much fitter I was back in 2015! Other locations I knew about already from research and past visits with my stills photography so it was just a case of timing it with decent weather. Filmed over 5 days during late October 2018 & Late February 2019.